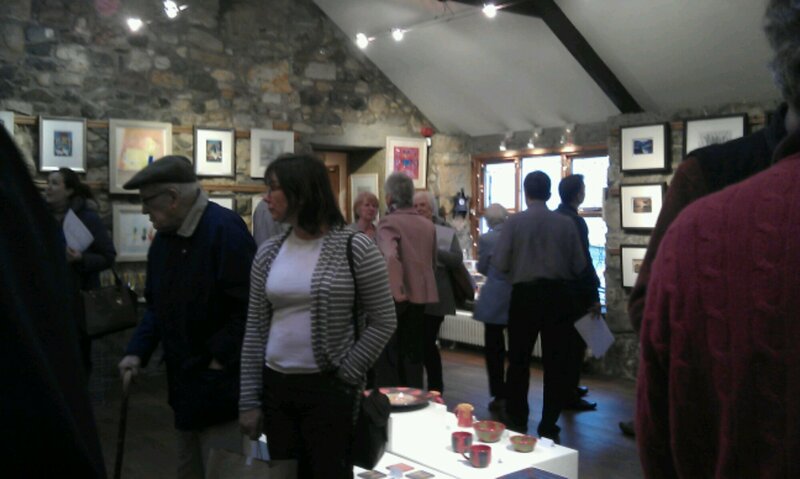 Sunday saw me and my partner attend my very first exhibition preview at the Smithy Gallery in Blanefield. The place was buzzing when we arrived to a greeting of champagne and canapes. 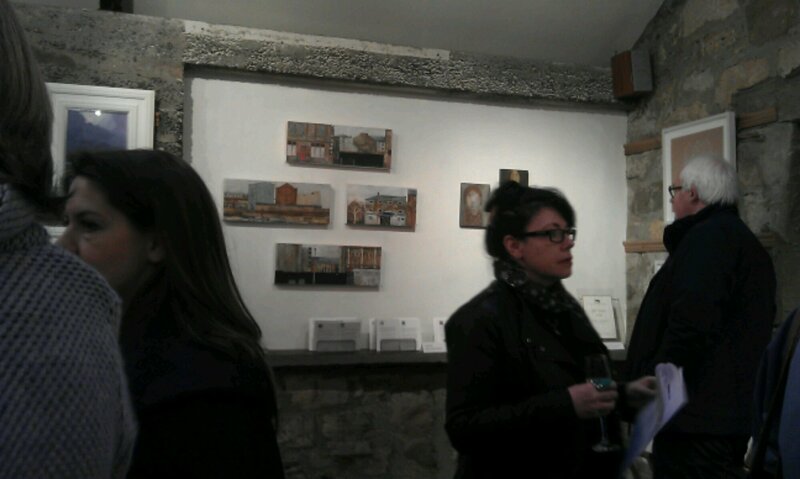 Notably, many red dots were already on the walls only 15mins after opening. The artwork was seamlessly curated and exceptionally high quality. My highlights were the works by Patricia Cain, Joyce Gunn Cairns, Henry Fraser, Gordon Wilson and Sam Cartman – artists whose work I have admired for a while. I also really liked the landscapes by Victoria Maxwell MacDonald and Marion Thomson. Previews, if you have the nerve, are great opportunities to meet the artists and I am glad I pushed myself forward to introduce myself to Gordon Wilson and Stanley Bird. I had lovely chats with these two delightful artists and felt very welcome in this warm and inviting space thanks to gallery owner Natalie Harrison.